Limited on home space or convenient access to media source, NAS server has become the new love of movie fans. Well for unprotected DVD and ISO files, it would be much easy to move the DVD/ISO to Synology NAS by using freeware. But if want to rip the commercial ones, you’d better to get the content off the DVD or DVD ISO as a protection-free and easily rip DVD/ISO to Roku 3 readable content on Synology, so the DVD/ISO movie can be playback on Roku 3 via DLNA. Same as media playback devices, Roku cannot work with directly DVD backup or ISO file, hence you not only need to convert DVD or DVD ISO to most readable format for Roku beforehand. Here Pavtube DVDAid is highly recommended to help your convert DVD/ISO to Roku 3 supported MP4 format. 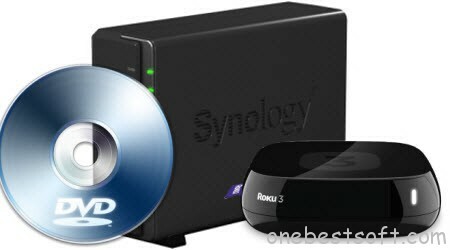 With this DVD to Synology Converter, you can stream and play DVD/ISO movies on Roku 3 via Synology without any format issues! 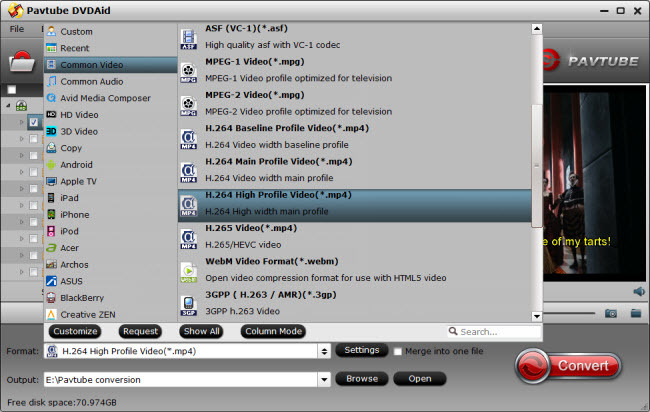 What‘s more, this program comes with a built-in video editor that allows you to edit your movie files by trimming, cropping, adjusting video effects, etc. Now download this tool and follow the instructions below. Moreover, Pavtube has the corresponding BD ripper that can convert your Blu-ray to suite Roku 3. Now download the right version and follow the steps below to put DVD/ISO to DLNA on Synology for Roku 3 playback. Step 1. Run the DVD to Roku/NAS Converter program. Insert your DVD disc into your computer’s disc drive. Click “File” in top left corner and then follow “Load from disc” to import the disc or choose “Add video” to import the ISO image file. No need to run virtual drive to mount ISO firstly. You can also choose other formats as long as your home theater devices can receive them well. You can go “Settings” to make advanced settings. With the right settings you can retain the quality of the original files while also saving space. This is particularly helpful when streaming over your network. Check the Audio Codec, always there is problem in playing AAC, you can try to change to AC3. Step 3. Hit “Convert” in bottom right corner to start ripping DVD/ISO to NAS. Now connect your NAS to your computer and copy the converted DVD or DVD ISO to NAS for streaming with Roku 3 or save them safely. If you are a Roku user with Synology NAS, expand your video library with DS video. Available on the Roku Channel Store, DS video allows you to easily stream videos from your Synology NAS server to your home TV. Your Roku can access the video library on your DiskStation, letting you watch videos or stream live TV. Your entire video collection can be easily categorized to suit your needs. Video management stays simple on Roku. Enjoy!